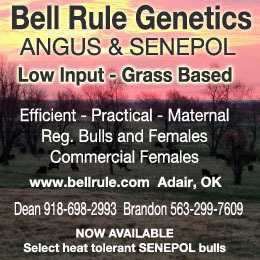 For many livestock producers it has been a difficult year requiring significant amounts of extra feed. Now it is the beginning of May and things are greening up nicely. Here in New Hampshire we have gotten a good amount of moisture so our drought conditions are easing and disappearing. I know many producers who are very anxious to get their animals out into their pastures so they can stop feeding as much hay. I am writing to point out that this year more than others it is important to wait until your forages are truly ready. 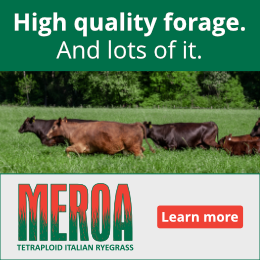 If you don’t wait, you will significantly reduce the overall forage production from your pastures over the course of this grazing season and possibly future grazing seasons as well. The grasses in our pastures are especially vulnerable this year, because last summer was so hard on them. 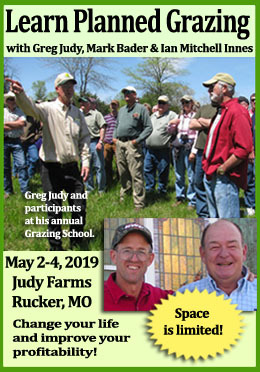 The drought was stressful enough for the plants, but many people opened up their pastures in an effort to get some production off their drought stunted pasture which further stressed the grasses. This was an understandable effort to reduce the amount of feed that needed to be fed last summer. Unfortunately opening up the pastures is harmful to forages and they will be weaker this year because of it. The good thing is you have a chance to help your grasses recover now by waiting! Perennial grasses run on momentum in the form of stored energy, vegetation and root production. If they are not allowed to build up that momentum, then they will fade and be out competed by other less desirable plants. There are many natural factors that can influence the amount of momentum including drought, but management has a significant impact. Adequate recovery and residue are the 2 key points to management which help the forages maintain their energy momentum. An example of orchardgrass at late 4-leaf stage. During the growing season grass regrowth primarily comes from energy produced in the leaves that remain after it has been grazed. If there is not enough leaf area to produce energy, then it pulls more heavily on its stored energy. When it gets grazed short repetitively, that results in depleted energy reserves and a weaker plant. This cycle is what happened to grasses in pastures that were opened up last summer. Going into the fall, the grasses store excess energy in their roots to start growth the next spring. Once there is enough leaf area from spring growth to produce energy, it stops drawing on the root reserves and can eventually start building energy reserves for the growing season in the lowest portion of the grass. Replenishment of the energy reserve does not start until the grass stem has produced its third leaf, which means that is when grasses are ready for a light grazing. If you allow the fourth leaf to emerge then you have allowed the energy to be built up even more. If you do not wait, your grasses will have to pull from their root reserves once again, which will further weaken your grasses and hurt your production over the course of this grazing season. So please keep off the grass until it is ready. Daimon Meeh- Daimon grew up on a farm in Canterbury, NH and studied agriculture at the University of New Hampshire. He then attended Michigan State University for graduate school in Sustainable Agriculture and studied multi-species pasture rotation systems. After completing his MS Daimon moved back to NH and began working for UNH Cooperative Extension on the Dairy, Livestock and Forage Crops team. He worked for UNHCE for just over 3 years before recently making the move over to the USDA Natural Resources Conservation Service in August 2016. As part of his current duties Daimon has the responsibilities of the State Grazing Specialist and is working to support NRCS staff and farmers statewide to further their understanding of their animal and forage management. Daimon has also been an active member of the Granite State Graziers Board since 2013.